The world lost a great Muslim champion for democracy, human rights and the rule of law, with the untimely death of Mohamed Abdelaziz of Western Sahara on May 31st of this year. As the democratically elected President of the Sahrawi Arab Democratic Republic (SADR), Abdelaziz labored his entire life to see justice prevail for the people of Western Sahara, the only colony in Africa yet to be decolonized. Abdelaziz led the POLISARIO, an organization he helped found initially to liberate Western Sahara from Spain, and the SADR, the Republic established by the Sahrawis. He first sought peaceful resolution to the conflict over Western Sahara through the International Court of Justice in1974. But, the brutal invasion of his homeland by Morocco in 1975 led to armed conflict until the United Nations brokered a cease fire in 1991 with the promise that the people of Western Sahara would have a referendum on self-determination. Twenty five years later that referendum still has not occurred. The delayed referendum has led to a new generation of Sahrawis to grow up in refugee camps, never seeing their homeland, and has given free rein to the King of Morocco to exploit the natural resources of Western Sahara and even worse commit atrocities against the Sahrawis living in Moroccan Occupied Western Sahara. 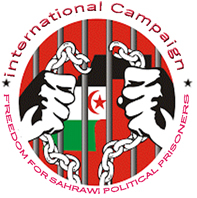 Hundreds of Sahrawis living in Moroccan Occupied Western Sahara have been killed for peacefully advocating for the right to vote, while others languish today in Moroccan prisons. What is called the Arab Spring started when Sahrawis erected a peaceful protest camp in Gdeim Izik simply demanding the same jobs and opportunities given to the Moroccans occupying their homeland. Despite these ongoing atrocities, Abdelaziz directed his diplomats to seek redress peacefully relying on international law and the justness of their cause. Under Abdelaziz’s leadership, the SADR was recognized as the legitimate government of Western Sahara by over 70 nations and is a full member of the African Union. Abdelaziz was elected several times to serve in the leadership of the African Union, a testament to the respect he had throughout Africa. The SADR constitution guarantees the right to vote for all citizens 18 years of age; equal rights for women; a free market economy; and religious freedom. Sahrawi women are fully integrated in their society and serve in significant leadership positions in their government. The educational system they created has resulted in an over 90 percent literacy rate, making them the most educated African people group. Abdelaziz tried repeatedly not to seek reelection for President because of his commitment to see democracy flourish and power transfer peacefully. However, the Sahrawi people continued to re-elect him. As someone who has worked in human rights issues for over twenty years, I have never found a more noble and honorable people than the Sahrawi people or a more remarkable leader than Mohamed Abdelaziz. To honor Abdelaziz and the values he cherished the UN must hold that long promised referendum or call for Morocco’s withdrawal from their illegal occupation of Western Sahara. That is the least we can do for Muslim leaders in this world facing enormous adversity who faithfully work for democracy, human rights and the rule of law.